Manual TW modules are suitable for everybody who want and need a simple interface that can be adjusted with the push of a button. The version with pre-defined button is suitable specially for track luminaires. Manual TW module 01 has a fixed position of buttons so the module should be placed in a fixture on the place, where the button can be reachable. After powering up Manual TW electronic reloads last used setting of output current ratio. The new level is saved to memory after 10 seconds of push button inactivity. 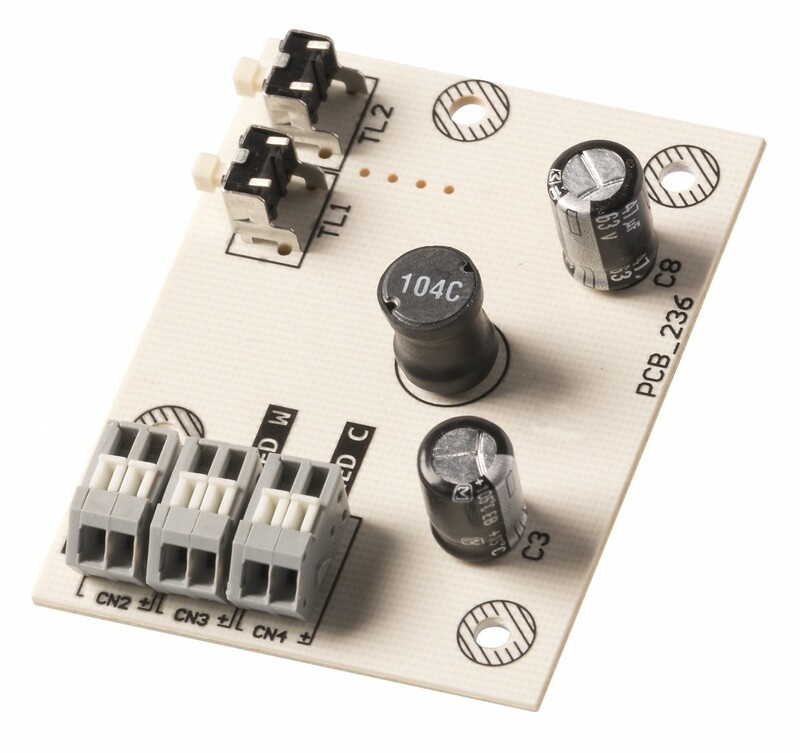 Push button 1 (PB 1) serves for increasing and Push button 2 (PB 2) for decreasing of output current ratio. There are two modes of current ratio transients – smooth mode and discrete mode. Discrete mode is activated by default. 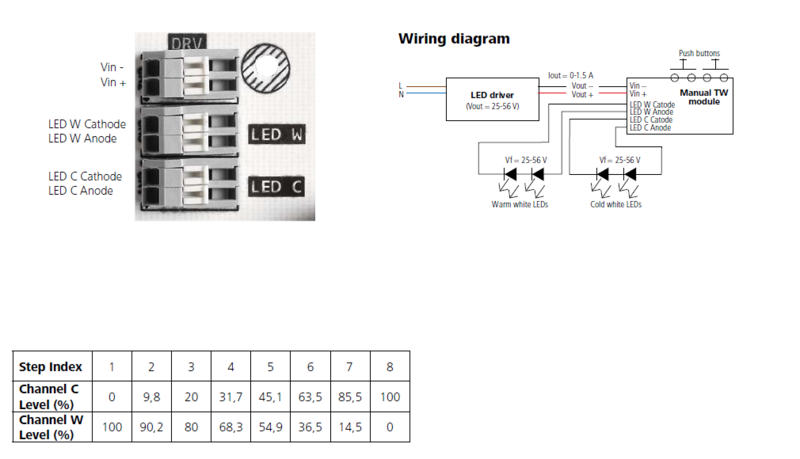 When short pressing one of the push buttons (holding pressed shorter than 1 second) the current ratio level is changed in discrete steps according to the table below. One press activates change of one step. Smooth mode is activated when one of the push buttons is hold pressed longer than 1 second. After this period current ratio starts to change (increase or decrease) smoothly with approximately 2 % per second.